Earthbound Farm is the largest organic produce grower and shipper in the United States and one of the biggest organic companies in the world, with over $500 million in sales. The company offers more than 100 varieties of certified organic salads, fruits and vegetables grown on nearly 40,000 acres by more than 150 farmers. Its bags and plastic tubs of spring mix and other greens are everywhere -- from Whole Foods to Safeway to Costco. But the problem was that it had grown successfully in spite of its inability to make much of an emotional connection with its customer — its growth was categorical and lateral, but not deep. With rapidly increasing competition in the fresh produce category, it recognized the pressing need to develop, grow and nurture a deep and lasting connection with its core customer. Our challenge was to move the brand from a functional mark to a lovemark. 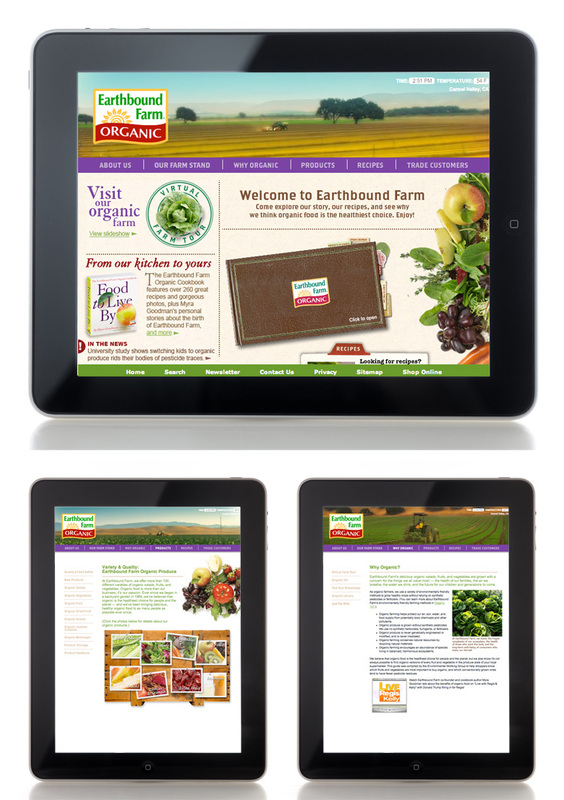 egg helped Earthbound deepen its emotional engagement with its core customers by personalizing the company behind the brand and bringing its true stories to life while educating them about the benefits of organic. Previously, the brand was considered almost a generic, with few if any pathways in to its soul. This was especially unfortunate considering the many positive social and environmental initiatives within its operations. 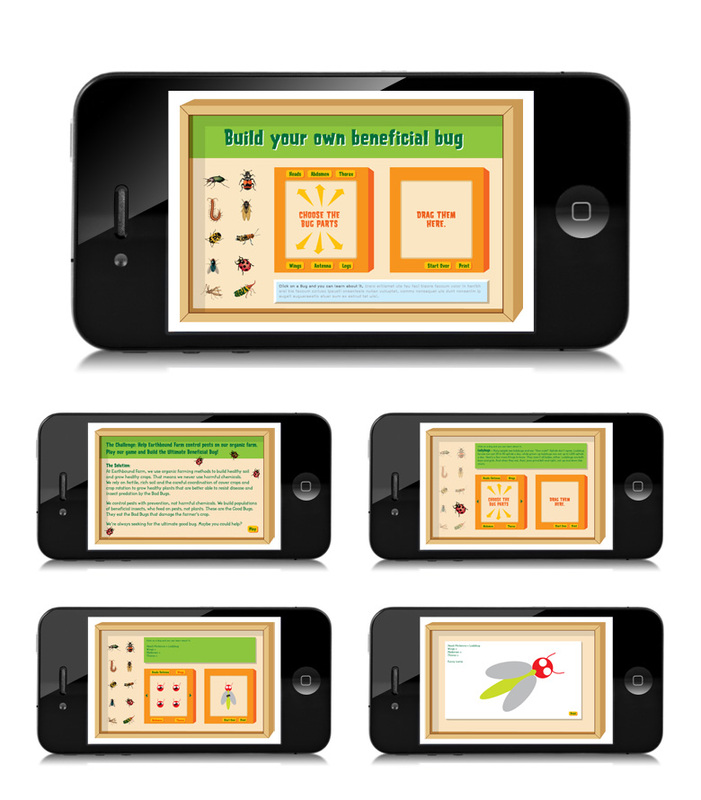 Our core strategy was to build the website out as the organizing platform for the brand, and establish a sense of place to position the brand away from “big impersonal organic.” In effect, we created a virtual farm and built it all for optimal interactivity — stuff like an interactive kids' coloring book and games, Chef’s Corner, Day-in-the-Life, a company scrapbook, “freshcasts” with leading organic experts, and of course, lots and lots of recipes. 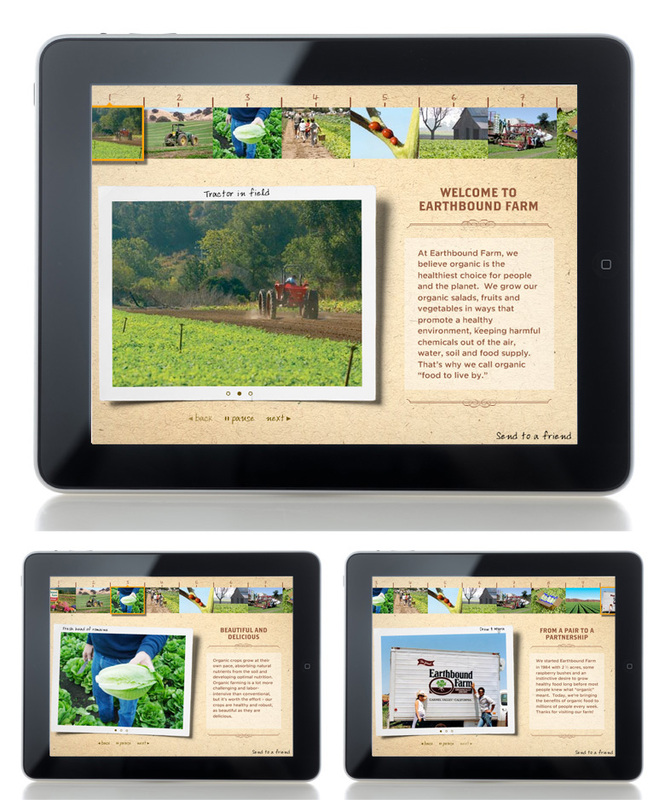 One of the key storytelling creations was a digital interactive scrapbook that allows the viewer to retrace Earthbound Farms’ steps back to the start, when Drew and Myra were but hapless Deadheads in love, traveling the country to see Jerry and Bob, and growing raspberries and microgreens on their small plot of land in Northern California. The viewer can turn the digital pages and see the numerous “coming of age” photos documenting the birth and growth of the company, including the original packaging and its evolution to today. Most people know that organically grown foods are better for your health, but few understand the process of growing organically and how it benefits the land. Our Virtual Farm Tour serves to educate consumers who want to learn more, as well as to introduce them to the farm and growers behind the food. 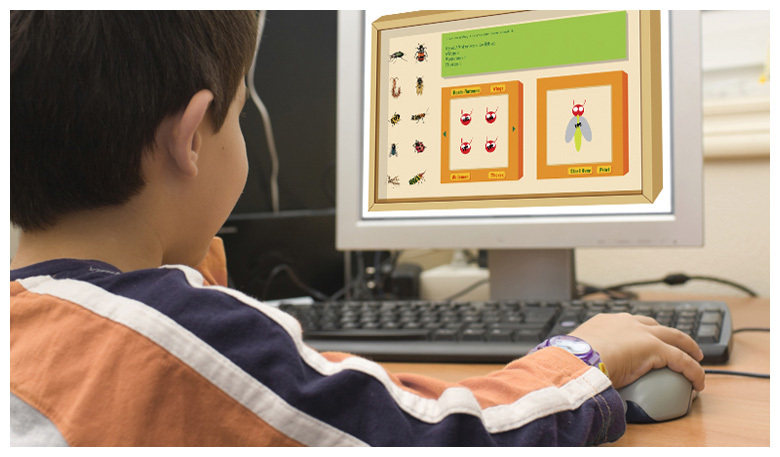 Build a Beneficial Bug is a game that allows kids to conceive of their very own "good bug," using parts and pieces of other bugs, as a way to help educate them about the important role that beneficial bugs play in the farming of organic foods that are grown without using harmful pesticides.